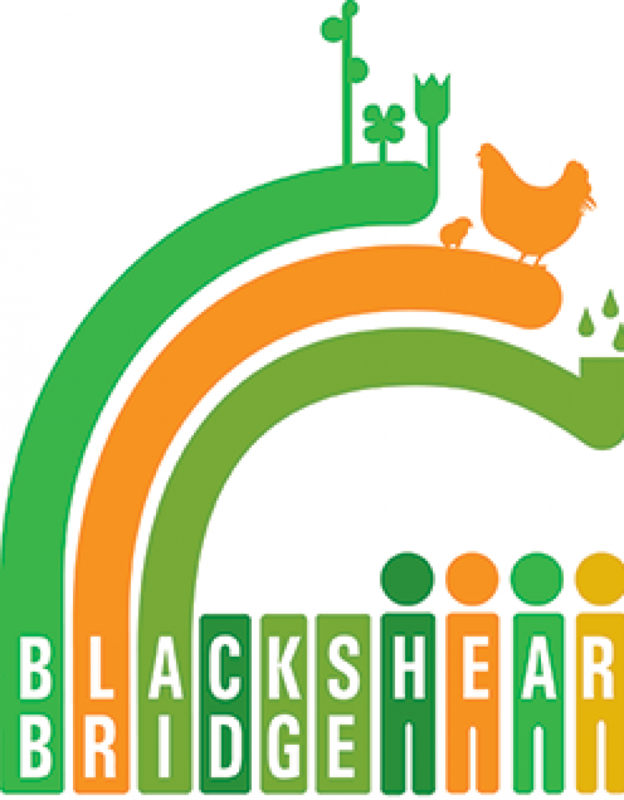 The Blackshear Elementary School community of students, their families, teachers, staff, and friends have been completing surveys for a Schoolyard Plan. Mostly, the”what we have” boxes for Butterflies, Bugs, and Worms were getting all the check marks. Suddenly everything changed! A family of bats chose a corner of our historic schoolyard for their home! So now we have MAMMALS at Blackshear!!! Flying, nocturnal, not vampire mammals. On the “what we want” question of the survey, Principal Betty Jenkins had only checked “butterflies, wildflowers, and benches or other seating areas”. 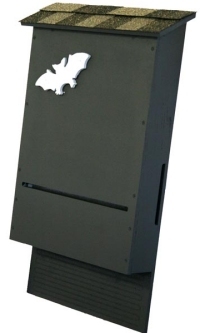 Now she — and most everyone else wants bat boxes. Want more bat? Check out this AWESOME VIDEO Ecolation!!! from our friends at Bat Conservation International. Until the bat excitement, things had been moving appropriately slowly through winter hibernation and the multiple snow days since Little East and the Big Dig. But glaciers and bears in their snow caves do move…however slowly in the season. We are happy to announce that Blackshear Elementary School is the recipient of not one…not two…but three! grants that Blackshear Bridge brought inside this Winter. Thank you, City of Austin Office of Sustainability for a $3,000 Bright Green Future Grant. Thank you, Whole Kids Foundation for a $2,000 School Garden Grant. And thanks to National Wildlife Federation for our latest award, a $500 EcoSchools USA grant! We are delighted and appreciate the contributions of these organizations and our other donors including Maher Charitable Trust. You are helping get kids outdoors, having fun and learning what we like to call snake SSHTEAM — Sustainability, Science, Horticulture, Technology, Arts, & Math at Blackshear Elementary School in central east Austin. Thank you. Diana Su, a neighborhood designer who serves on the Blackshear Bridge Board is helping the Blackshear Campus Green Team and the Blackshear school community to make a Schoolyard Plan. Here’s a beautiful description of the design process that Diana is leading. Diana started by researching the history of the campus. If you own a piece of that history, we would love to hear from you! Let us know how you would like to see the campus evolve. Please get in touch and share your story. Diana also created a Schoolyard map. Check it out and let us know — Where would you put your new favorite tree or shrub? April, Diana and longtime neighborhood architect Tom Hatch will look at the community input and develop design options for the campus to consider. We’ll invite you to help at our next big dig…Action Plan Numero Uno of the Grand Schoolyard Plan!!! Stay tuned here and on our Blackshear Bridge Facebook Page for the date of the design Show N Tell at the Carver Library and the date of the next Big Dig. If you have ideas or want to get involved, contact us here. BLACKSHEAR BRIDGE GOAL: SNAKE SSHTEAM! During Enrichment Time at Blackshear — Fridays at 1:30, a baker’s dozen youngsters from various grades learn sustainability through play-based discovery in the school garden. They'[re working on a name for their garden. The most fabulous nomination so far?…Crazy Green!!! We’ll see if that sticks and let you know. We want to thank Local bee-hive maker Jason Patmore. Jason brought one of his beehives to Blackshear and helped the children learn how to make a hive so that bees will like it. One thing we learned — the frames on which the bees form their honey must be close enough together so that the bees can feel each others’ backs, yet far enough apart so they both fit in the space as they work behind each other. Sweet. Sounds like how we work at Blackshear Bridge! Blackshear Bridge folks — Amanda Masino and Donna Hoffman met Jason Patmore at a neighborhood Peace through Pie event and MLK Day March. Thanks, Julie and Francois Levy for hosting an idea cooked up by the fabulously peaceful LuAnn Stovall for Peace through Pie. The party was a bridge between two great east Austin neighborhoods — Blackshear-Prospect Hill and Guadalupe. Thanks, Jason for teaching at Blackshear. Jason is a regular who can be found working on sustainable solutions in the laboratory outside Thea Bryant’s low carbon-footprint, earth bag house on E. 10th. A few icy weeks after MLK Day at an early morning Assembly, Diana Su, Bill “Mr. Habitat” Oliver, and Professor Dumpster rang the rafters of the Blackshear gymnasium. Bill sang his big hits “Have to Have a Habitat”, “The Bring Your Own Bag Song”, and “Inch by Inch” made famous by Pete Seeger. Diana addressed the Assembly, “architects build things and they want the people they’re building for to tell them the solutions they want.” Check out Diana’s beautiful work here. Next at the Assembly, Professor Dumpster and a Green Is the New Black “kid” Yvette Jackson from Huston-Tillotson University introduced their unique design solution: Our partner across the street at Huston-Tillotson is living in a dumpster for a year to teach among other things the importance of water and energy conservation. 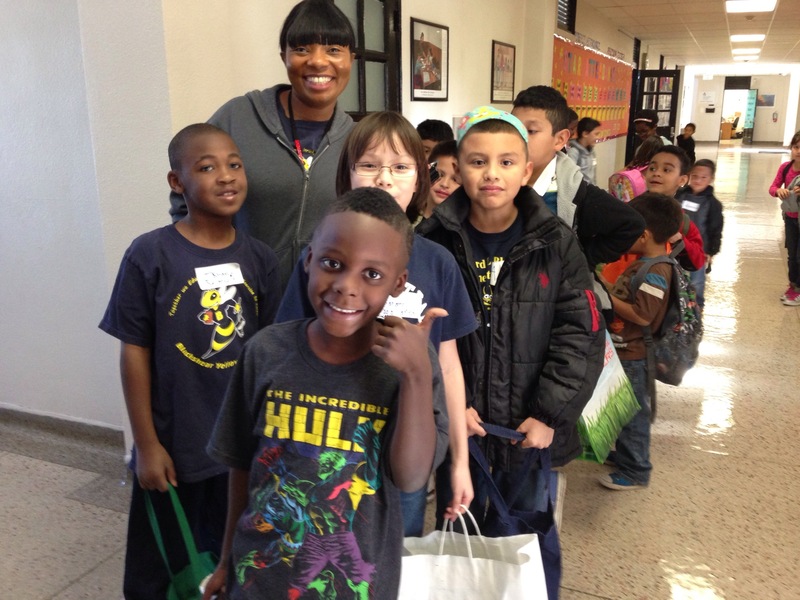 Check out the VIDEO of Professor Dumpster’s visit to Blackshear. Thanks to Bill Oliver, Diana Su, Professor Dumpster, and Yvette Jackson for a wonderful Assembly February 14, Valentine’s Day at Blackshear Elementary School. Thanks also go to Principal Jenkins, the Campus Green Team: Co-Chairs Bo Boatright and Anabel Pagan, Secretary Maria Perez, Treasurer Rebecca Birdwell, and members at large Melissa Stamnes, Elisabeth Healey, Luz Hernandez, and Lorraine Paige and all the teachers, students, and staff members at Blackshear Elementary School. And to Blackshear Bridge Board Members: Principal Betty Jenkins, Attorney Justin Bowes, Designer Diana Su, Professor Amanda Masino, Reach Out Darlene Watkins, Food for Black Thought Dominique Bowman, and Parent Support Specialist Cristina Santos for building a sustainable campus and a sustainable community. Congratulations to our friend, Graciela Salgado for her promotion from Blackshear to Head Custodian at Austin High School — We Miss You!!! And Congratulations to teacher April Tabor on the birth of her first child, a daughter! PS Let us know if we’ve left anything out of this big juicy bit o’ newsletter.